Pegasi Numismatics address, phone, website, and more. Pegasi Numismatics is built on simple and enduring principles: We strive to offer a quality product at a good value. We are also committed to serve and educate our customers. We believe that a knowledgeable collector is our best customer..
We are involved in this business because we are passionate about the material — we love the coins and antiquities we offer on these pages. 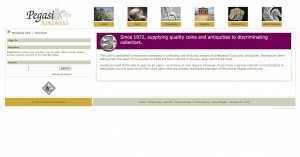 Our company is formed of avid numismatics who wish to share our experience with other collectors. Along the way we have made many lasting friends, introduced this fascinating hobby to legions of new collectors, and helped build impressive collections for our clients. Although we are not the biggest firm in the world, by adhering to these simple principles, we have become a major market force and can serve your needs however big or small in any numismatic arena with integrity and experience. Pegasi Numismatics is a full service coin and antiquities firm focusing on offering quality Ancient and Medieval coins, books, and antiquities to discriminating collectors. Pegasi Numismatics has issued over 120 illustrated catalogs, conducted numerous auctions (including venues in Michigan, Boston, and at the New York International coin show), and exhibited at hundreds of numismatic conventions. We are members of most significant numismatic associations. 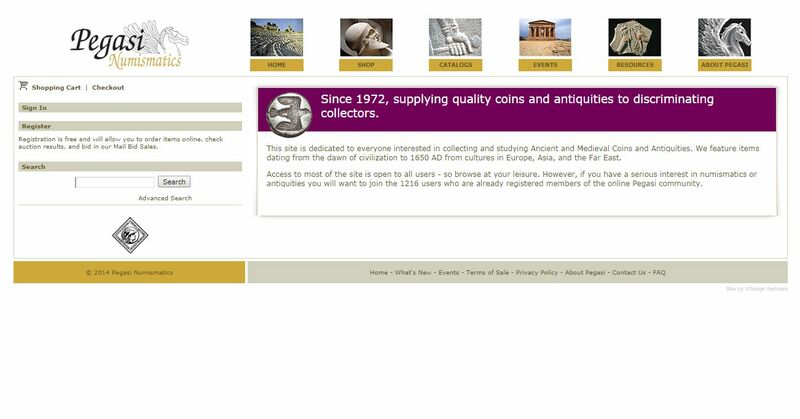 All of our coins and antiquities are guaranteed genuine for life. Your complete satisfaction is essential to us; items may be returned for any reason within 15 days.